Discussion in 'Price Drops, Must-Have Freebies, and Deals' started by Connector, Sep 12, 2012. 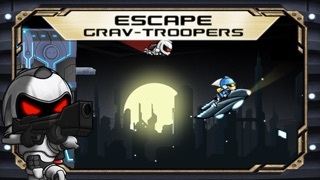 Cute space runner is now free. 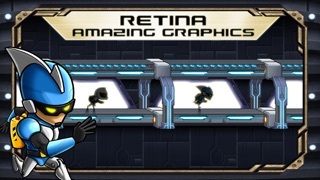 Note that you can download the retina assets from the main menu at the top. Hd version is free too, the link is below the sd version. Highly recommended! Edit: hd version is free too now!!! Here is the link! Hey I remember this game! Lotsa fun... At least for a while. Since it's a Miniclip game, they've probably updated it chock full o' adverts. 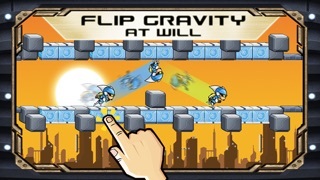 BTW, in case you didn't notice, the gravity powerup in Jetpack Joyride pays homage to this game. Yeah, was one of the first games I bought for my iphone aeons ago along with Angry Birds, Doodle Jump, and Cut the Rope. A simpler time with simpler games. Gawd I hope not. This is one of the games that never leaves my iPhone even tho I do most of my gaming now on the iPad. One of my favorite distance running games. Btw, the iPad version is also free. 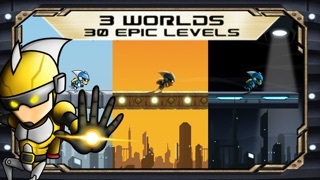 One of the most unique one-touch runner platformers during its time, and it's still one of the FASTEST side-scrolling runners ever. It has been on my idevice since i bought my first one, and has migrated to my 4s without hesitation. Gawd I hope not. This is one of the games not never leaves my iPhone even tho I do most of my gaming now on the iPad. One of my fave distance running games. Just a little ads for some of their new games. Not too bad. WOW! You're right the ipad version is on sale too! I am totally stoked! I guess this is one of those classics that eventually got forgotten. The ads are probably the only things keeping this alive. Wow, the ipad version of this game is so much funner than the iphone version. While it was fun on my iphone, the added real estate gives this game so much more depth, and so much funner. Thanks so much for the hd version, Miniclip! It was very unexpected, but I am so glad to get one of my original iphone games now on my new ipad. Thanks again!